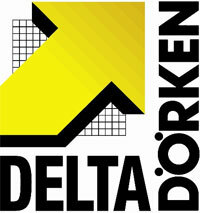 Presented by Dörken Systems Inc.
Use of insulation along with other differences in building materials and assemblies are changing the nature of moisture risks in building enclosures in today's building, relative to historic construction. Underlying moisture physics and management strategies will be presented in this course to explain these changes and address them in high-performance buildings. The strategies are applied in modern building enclosure detailing, providing solutions to designers for complex challenges. Participants in this course will earn 1 hour of AIA LU. Understand the changes that have been made over time to building enclosure assemblies which have changed the nature of moisture-related issues. Understand the building science behind moisture control for enclosures. Make informed decisions about the appropriate rain control and vapor control strategies for wall assemblies. Apply effective moisture management strategies to building enclosure details.